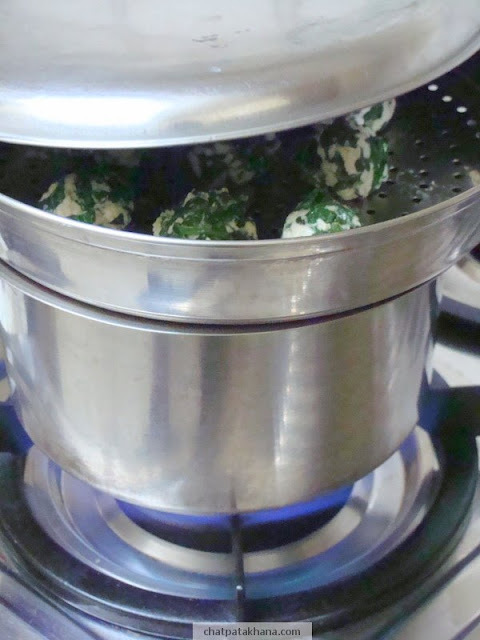 Steam these spinach balls for 10 minutes ( as shown in the picture ) and set aside. In a pan, take a little oil, add onion and cook till it turns brown. Add the tomato puree, sugar,salt and half cup of water. Cook with the lid covered for 10 minutes. 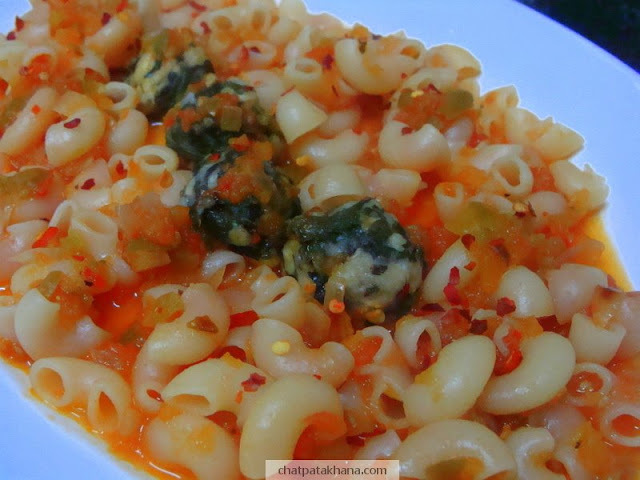 Add the spinach balls and macroni. Mix well. Garnish with cheese and chili flakes. 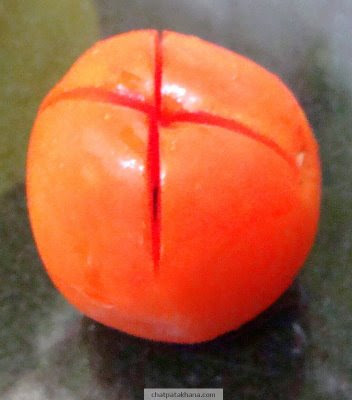 Tip: To puree the tomatoes, first slit the tomatoes as show in the picture. Boil these for 5 minutes. Peel the skin and blend it. Slitting the tomatoes before boiling makes it easy to peel the skin once the tomatoes are boiled.